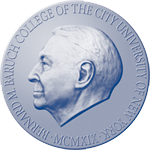 Baruch City College is part of the City University of New York (CUNY). Priding themselves on their tireless efforts towards sustainability and the abundance of activities related to campus life, CUNY is a growing institution of learning that offers students many opportunities to advance their educational lives. Their MBA program is ranked among the top 100 in the nation by many institutions, and they have recently been highlighted by the New York Times due to their extremely low numbers when it comes to student debt. They have also been honored by ranking number 48 in the Best Colleges in the nation in addition to their number 13 ranking for affordability. Baruch College also maintains strong bonds with the nation and surrounding communities through efforts such as their partnership with FEI that recently launched a CFO Survey. CUNY college strongest program to date is the Zicklin School of Business. They are the largest, accredited school of business in the United States. They maintain both a national and international reputation for excellence on every level. Campus Life: The diverse culture that lives on campus offers students plenty of ways to develop their leadership skills while still having fun. From the arts to athletics, they partner with many institutions in the city in order to provide a campus experience that is totally unique and extremely engaging. Head to the University at Buffalo, poised on the edge of Canada and a thriving city of impressive size. It’s no wonder that the university lives up to its surroundings as the largest in the network of state universities in New York. Students from across the globe enter this prestigious, research university. You’ll have access to over 100 undergraduate programs and double that in graduate programs. Dedicated to helping you complete your degree in 4 years, you’ll have an edge over the competition when you are done. If you’re interested in business, the School of Management ranks as one of the top business schools in the world. Explore your options when you visit the campus. Campus Life: The University at Buffalo is rich in recreational opportunities. From the Lippes Concert Hall, to the UB art galleries and Center for the Arts, this is the place to reach for the stars. 20 NCAA division programs in athletics means it’s easy to jump into the world of sports. Three dining halls and over 20 eateries allow students to choose from a host of their favorite dishes while living in campus apartments or residence halls. The votes are in and over 15,000 Binghamton University students agree that this is the place to be in upstate New York. More than 140 graduate programs are available at this impressive link in the SUNY university network. Considered an elite campus when looking at public universities, this is a Best Buy college ranking twenty two on Forbes’ list for best value. Expect more bang for your buck. This is right up for your alley when it comes to business. The School of Management is considered one of the best in the nation. Opt for a Bachelor of Science in Accounting or a Bachelor of Science in Management. Binghamton University invites future students to walk the grounds, visit the admissions office, and find out all that this university has to offer. Campus Life: When it comes to campus life, Binghamton University is hopping. Clubs and organizations are a central focus, as well as the club sports program, that includes intramurals. Take your pick from four dining rooms on campus and a host of eateries. Work out at Fitspace or hit the great outdoors with opportunities for trips to surrounding areas. The University at Albany brings you right into the heart of the state capital, close to all of the excitement, from the theater to the state museum, large shopping centers, and your pick of restaurants. Boasting of numbers up to 18,000 students, young men and women flock here from over 100 countries across the world. Life-enhancing research, scholarships, and over 500 opportunities to study abroad make this an ideal college to broaden one’s horizons. U at Albany consists of three campuses, Uptown, Downtown, and East. The University at Albany School of Business offers students all of the advantages of a new, state-of-the art business building and is only one of three universities in New York State honored with dual AACSB accreditation in business and accounting. The University at Albany awaits with open arms and welcomes visits from prospective students. Campus Life: Students enjoy the many facets of campus life, visiting with friends at the Main Fountain, soaking in the sun while working on a bench in the Grand Entry Plaza, or heading off to the UAlbany Athletics Complex. The Campus Center provides students with all of the necessities, from banking to fast food. The State University of New York at Geneseo is a leading institution in the area of liberal arts. SUNY Geneseo is located in upstate New York near the Finger Lakes region. U.S. News and World Report, Washington Monthly and The Princeton Review have rated SUNY Geneseo on their lists of best colleges. The extraordinary Business Administration program is accredited by AACSB International and taught by faculty that have earned thirteen awards for teaching excellence. Ninety percent of SUNY Geneseo Business Administration students are employed within three months after graduation. For more information visit the SUNY Geneseo website or contact the Admissions Office to schedule a campus tour. Campus Life: The Finger Lakes region is a popular vacation and sightseeing location. Restaurants, parks, hiking trails, delightful shopping villages and museums are steps away from the college. Take part in one of the many leadership and community service programs or any of the one hundred and seventy plus organizations led by SUNY Geneseo students.